Penghu County is an archipelago of islands and islets located off the southwestern coast of Taiwan. We went there for this article on the garbage problem and Tzu Chi volunteers’ recycling work there. Penghu volunteer Deng Bao-zhu (鄧寶珠) led the way as we drove along the eastern shore of Huxi Township, Magong. Coasting along the shoreline, we could see white windmills standing tall in the distance. When we got near the white sandy beach, however, we saw that the beautiful ocean vistas were greatly marred by garbage that had washed ashore. The sight of the beach blanketed in trash was alarming and disturbing. Garbage of all types has polluted oceans across the globe. Winds and currents carry the rubbish to beaches around the Earth. The trash that lands on the beaches of Penghu comes largely from China, Korea, Japan, and Southeastern Asian countries. It comes from so many nations that it’s like the “United Nations of Garbage.” Plastics comprise the largest volume of the waste, followed by things thrown overboard from fishing boats, like fishing gear, nets, buoys, and light bulbs. One day we joined some Penghu volunteers to pick up garbage at a beach in Guoye, Huxi. Guoye is best known for its sunrise. As we worked on the beach, the sun burst through the clouds and sparkled on the beautiful ocean and the volunteers. We were not in the mood to appreciate the scenic view though. Our hearts ached when we saw the garbage scattered all around. “Why are there so many light bulbs and other kinds of waste?” a volunteer exclaimed. “How can people just throw all this stuff into the ocean?” Before long, the volunteers had filled yet another big plastic bag with trash. 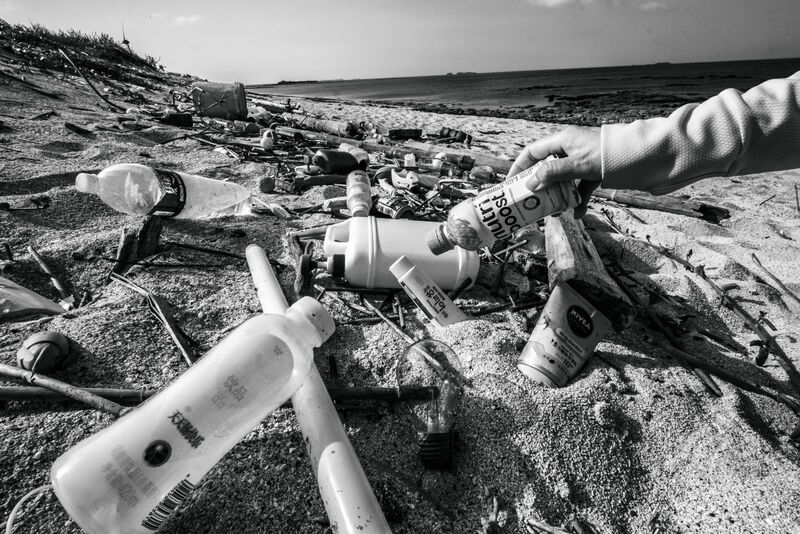 A local volunteer told us that during the winter, marine litter tends to gather on Penghu’s northeastern shores as a result of the northeast monsoon. In the summer, the Kuroshio Current carries garbage to Penghu’s southern shores. Many government agencies and private organizations have launched cleanup events for the beaches, but such efforts will prove fruitless until people stop dumping garbage into the ocean or creating more plastic waste without restraint. A quick visit to the beach makes this inconvenient truth clear: Throwing garbage out of sight merely transfers it to another location—and that location is still on this earth. Marine debris washing ashore is not the only garbage problem faced by Penghu—a booming tourist industry also contributes to the issue. The island group attracts hundreds of thousands of tourists annually, especially during the Ocean Fireworks Festival, from April to June. 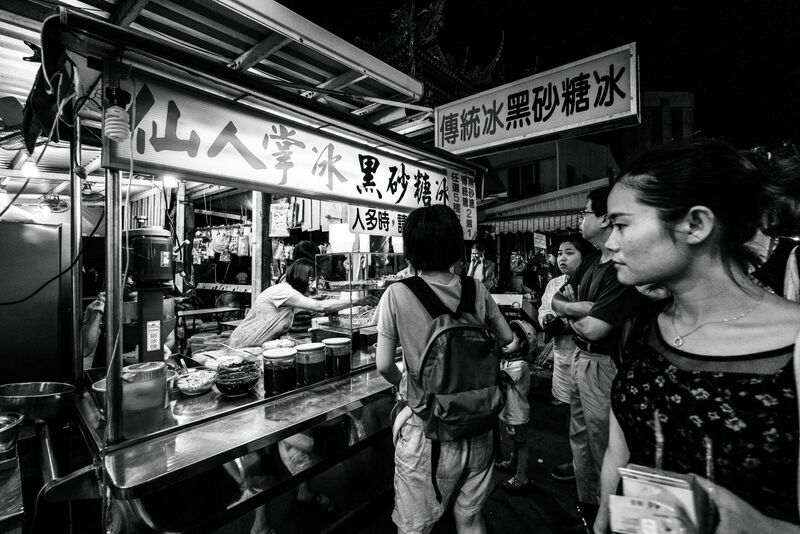 The festival was started by the local government in 2003 to revive the local tourist industry, which had been hit by a severe air crash that happened near the Penghu islands in 2002. The move has been more successful than expected. Tourists flocking to the area enhance the local economy—however, they also create a prodigious amount of garbage. The trash created every year during the festival exceeds 1,000 metric tons per month. There is no garbage incinerator anywhere in Penghu County, so, funds permitting, all garbage must be boated from outlying islands and islets to the largest island of Magong, and then to an incinerator in Kaohsiung, southern Taiwan. The cost of this garbage disposal is high. It is already a burden to process the garbage produced by local residents, and the throngs of visitors just exacerbates the problem. If that were not bad enough, Penghu also has to ship out the trash that the ocean brings to its shores from elsewhere in the world. 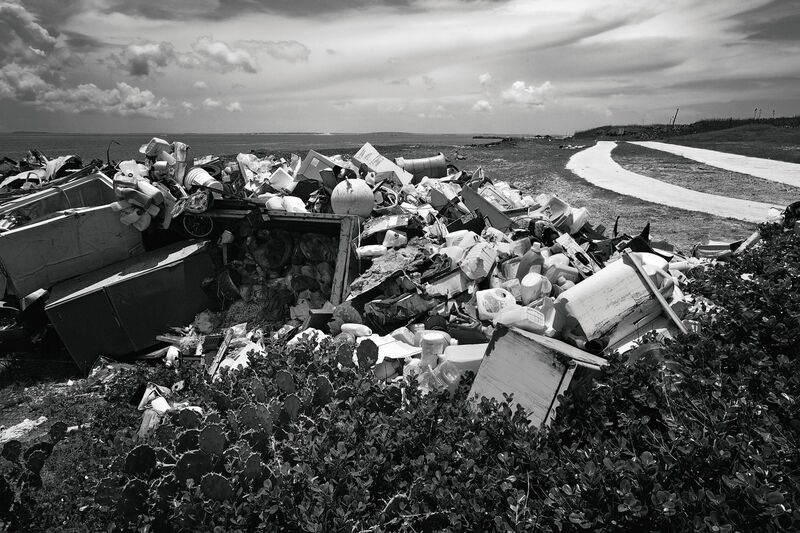 As it turns out, garbage is unfriendly to not just the environment but also the pocketbook. However, it is not as if nothing could be done about this. 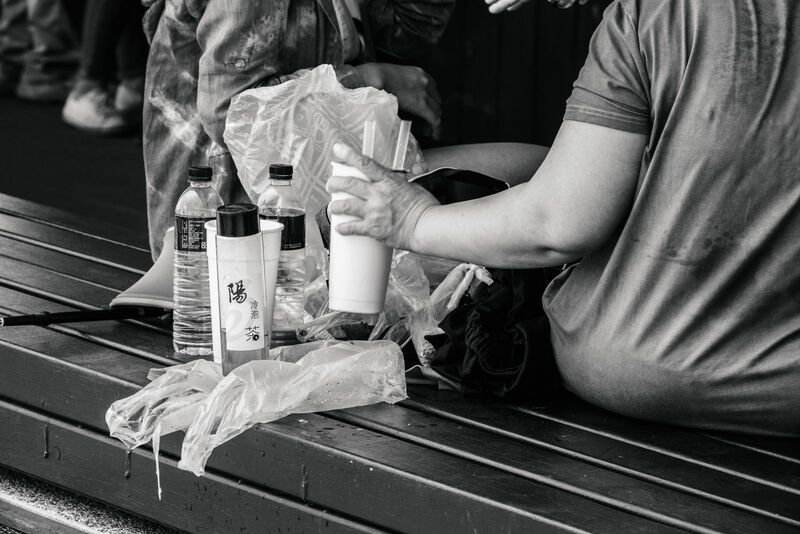 For example, if tourists could bring their own reusable cups and shopping bags, everyone’s efforts combined would make quite a dent on the amount of garbage produced. Accompanied by local volunteers, we visited some of the outlying islands of Penghu: Jibei, Niaoyu, Wangan, and Qimei. We learned that due to an inadequate budget, not all garbage produced on the outlying islands is shipped to the waste transfer station in Magong. Some garbage is disposed of locally, either buried or piled up in open air. On this day, we visited a site where piles of discarded furniture, fishing gear, and everyday items had ended up. Among the garbage was even stuff that had been recycled by people. Although people on the smaller islands recycle, there are no outlets to absorb the recycled goods. Thus, recyclables usually end up with the real garbage. Large amounts of ocean rubbish from beach cleanups end up the same way too. Even though the garbage can be buried in the ground, this is not really a good way to dispose of it. Garbage does not always decompose easily underground. Archeologists have found newspapers that, after being buried in a landfill for 30 years, were still clearly legible. If ordinary paper can survive for such a long time, how long can plastic—all but indestructible—last? Hundreds of years? Thousands? With land available for the disposal of garbage limited and the output of garbage seemingly unlimited, burying trash in the ground is far from ideal. Locals will have to bear the consequences when all the sites available for the disposal or burial of garbage have reached their capacity. 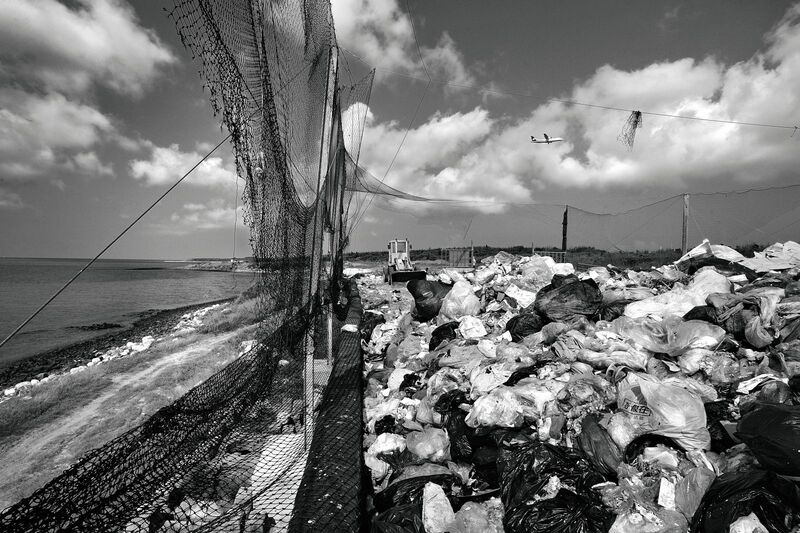 Penghu produces about 40 metric tons of garbage each day. That number can increase to over 50 metric tons during the height of tourist season. Recycled items are not included in these figures. A fire in April 2018 took the Kaohsiung incinerator out of commission and forced it to stop accepting garbage from Penghu. Penghu was caught in a horrible crisis: New garbage piled up at a rate of dozens of tons a day at the Hongluo waste transfer station, day after day. We visited the station one day to see the impact for ourselves. We were confronted with the huge amount of garbage that had accumulated in the station. Workers there had carefully compacted some of the garbage into smaller bales and wrapped them with plastic film to reduce the odor. Off to one side, a group of workers was picking out recyclable items from more garbage to decrease the amount of waste requiring disposal. We felt for the people who had to work in the midst of the garbage and its stench, day in and day out. Let’s salute them and thank them for their hard work. Tzu Chi volunteers in Penghu took up recycling more than 20 years ago to help keep their communities cleaner and protect the local environment. 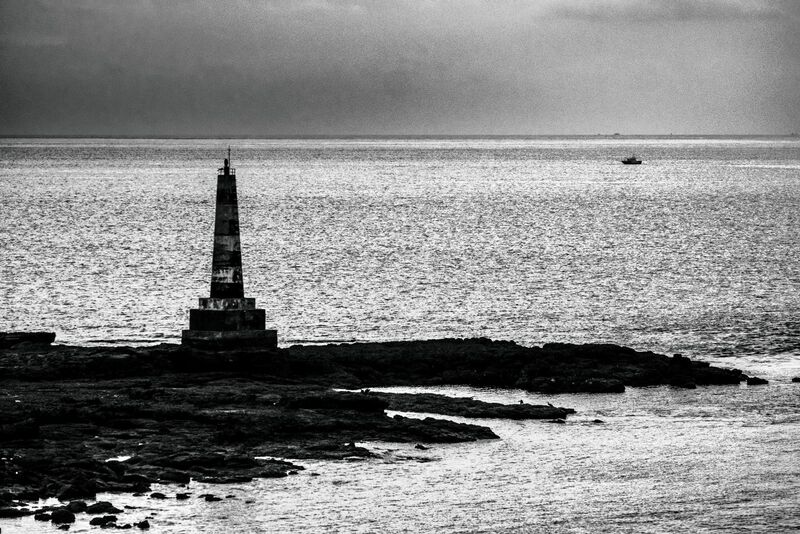 Volunteers work as guardians of the Earth from the north of the Penghu archipelago to the south. Over the years, they have stuck by their commitments, even as their burden has grown heavier as a result of the flourishing tourist industry and the ever increasing amount of marine litter. Volunteer Chen Yang Zhuan (陳楊專), almost 80 years old, visits the northern shore of Xiyu, Penghu’s second largest island, every day to pick up garbage. 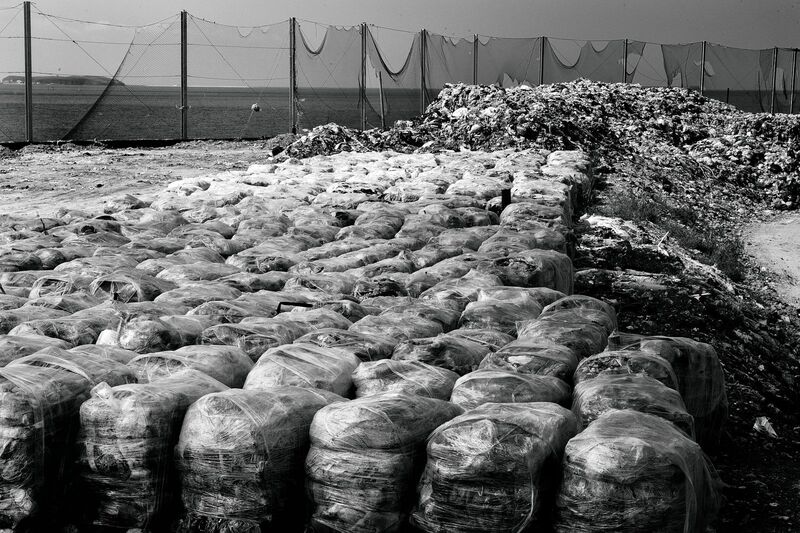 Large amounts of ocean-borne garbage are deposited on Xiyu’s northern shore during winter. It has long been a nightmare for residents there. Chen acts to deal with the problem. She has lived here all her life, so this shore is dear to her and contains a lot of memories—though some of the memories are sad. With that, Chen took up recycling. This meaningful work helped her rediscover her life’s purpose. 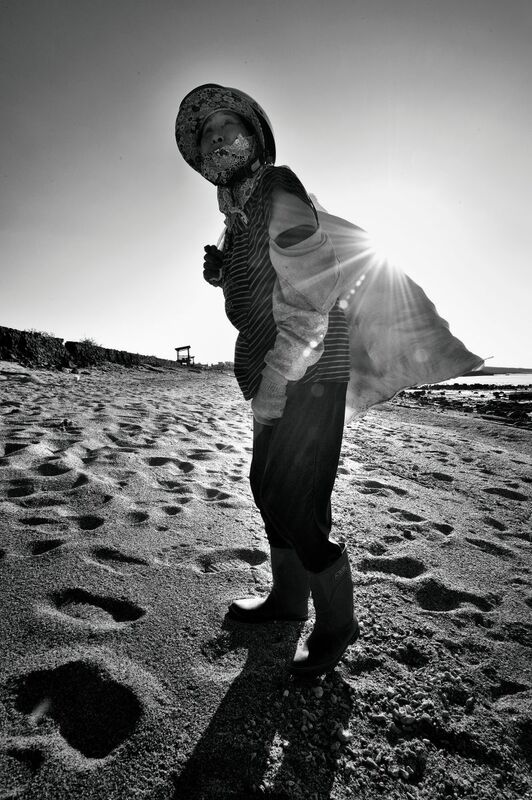 Now she goes to the beach every day, picking up garbage that has washed ashore and keeping her hometown cleaner. In this way, she channels her longing for her husband and honors his memory. We visited another recycling volunteer, Shi Long-er (石龍耳), who lives on the isle of Niaoyu. 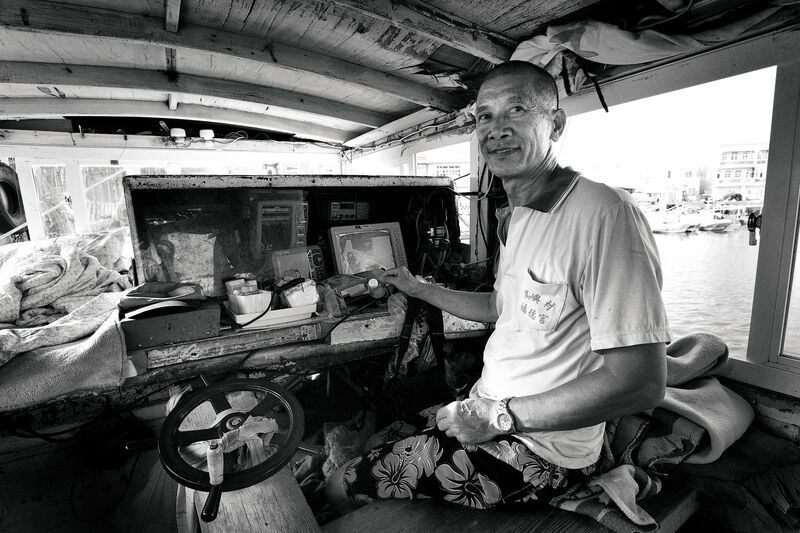 He was the only fishing boat captain we recorded for our article. Our visit happened to coincide with the season for silver-stripe round herring. During this time, Shi takes his boat out to sea every evening to fish, and he comes back to shore early in the morning. This goes on for several months. It is common knowledge that space is scarce on fishing boats. It is therefore commonplace for fishermen to throw their garbage overboard, something that Captain Shi has asked his crew to refrain from doing. Being involved with recycling has helped him realize the severity of the marine garbage problem. He doesn’t want his boat to add to the pollution of the ocean. He has also asked his crew to be sure to recycle. On days when he doesn’t go out to sea, he takes time out of his schedule to sort out the recyclables he has accumulated and that people have brought to him. Everyone knows everyone else on this small islet, and they all know that Capitan Shi does recycling for Tzu Chi. They take their recyclables to his home, and they help him with sorting when there is too much garbage for him to handle alone. When Shi has amassed enough sorted recyclables, he loads them onto his boat and takes them to Magong, where a Tzu Chi recycling station will receive them and eventually ship them to the main island of Taiwan. If not for Shi, a lot of recyclable resources on this islet would become garbage. It’s our sincerest wish that more fishermen in Penghu will become, like the captain, guardians of the Earth. It was barely dawn, but the Beichen Market in Magong was already bustling. Vegetables, fruits, meats, and all sorts of other things were on display as vendors touted their wares. Garbage, like cardboard boxes and packaging materials, is invariably produced in abundance in the market as merchants unpack things for sale. People here save their recyclables for Tzu Chi volunteers, who are well known to the merchants in the market. Volunteers have collected recyclable garbage in the market for some time now. It is no easy work to do recycling there. Cardboard boxes for shipping heavy items, such as fruit, are thick and sturdy. They are hard to break down, so volunteers need to exert extra effort to flatten them. Some boxes contain discarded vegetable leaves, so volunteers have to pick those out before recycling the boxes. Even when they finish all of that, they make a point of cleaning up after themselves. This pattern of service was established by Xue Pei-qi (薛佩麒) and his wife. 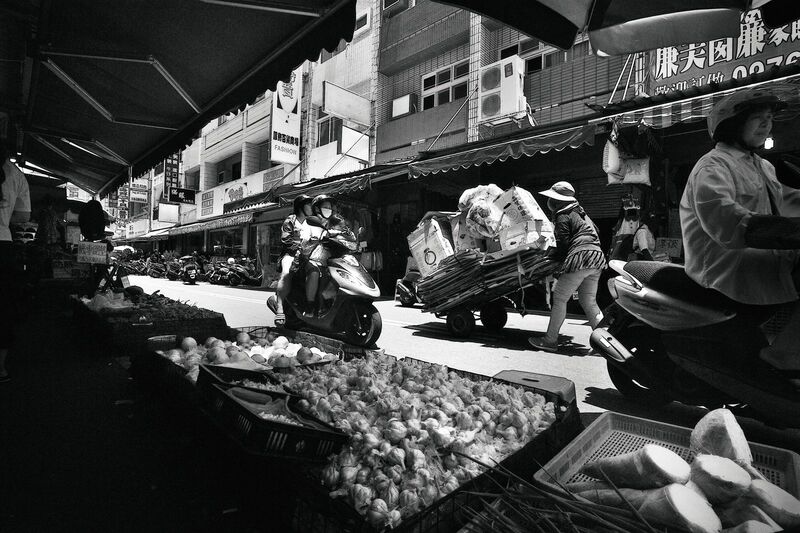 After retiring from the military with the rank of major, Xue sold vegetables in this market. He and his wife started doing recycling there for Tzu Chi when he was more than 70 years old. They did it for more than a decade, establishing the collection routine with vendors there. Xue was humble and outgoing. He was so dedicated to recycling, which he did year-round, that he earned the respect of many people. Sadly, he was killed in an automobile accident three years before our visit. 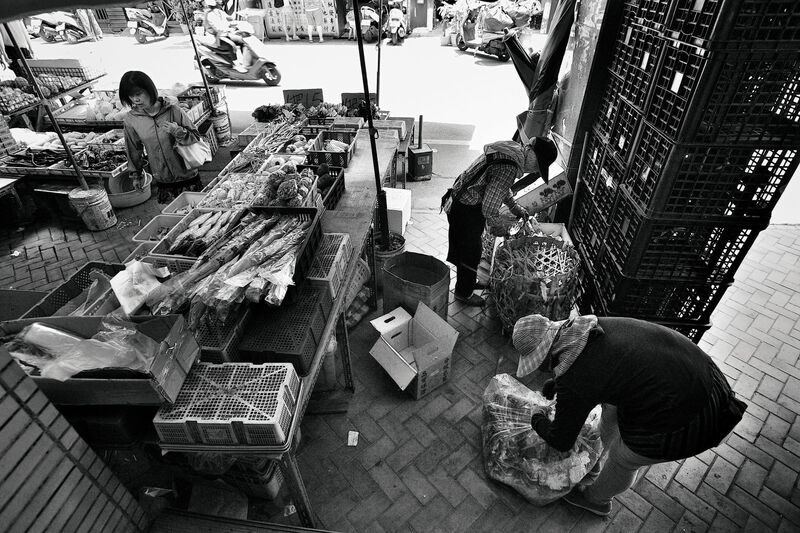 Even though Xue is no longer there, the routine of collecting recyclables in the market has survived. The good thing that he and his wife started is alive and well. Local volunteers make sure of that. Shanshui Beach in Magong is a hot spot for tourists to play in the water and take photos. 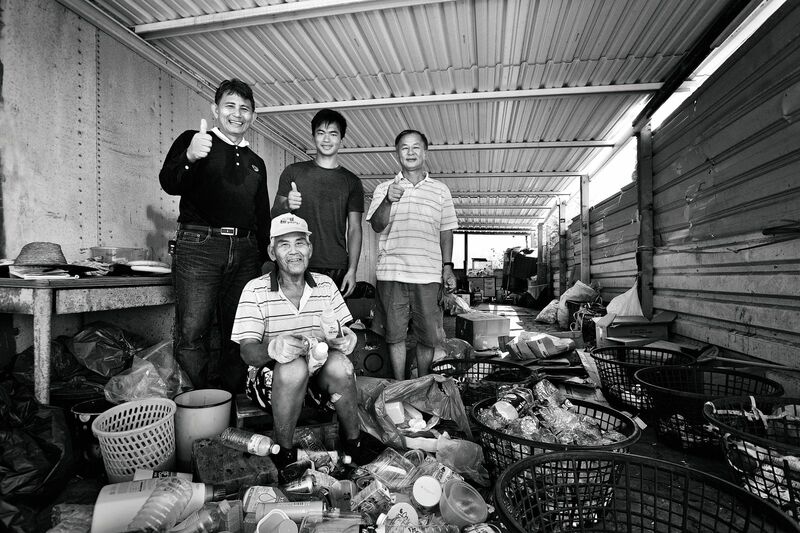 Just a short distance away is a Tzu Chi recycling point, which was built up with recycled materials on a plot of land provided by volunteer Weng Shun-an (翁順安, below, first from left). Though nothing fancy, this facility provides a space for reusable garbage to be sorted and stored. It has also, unexpectedly, brought Weng and his siblings closer. 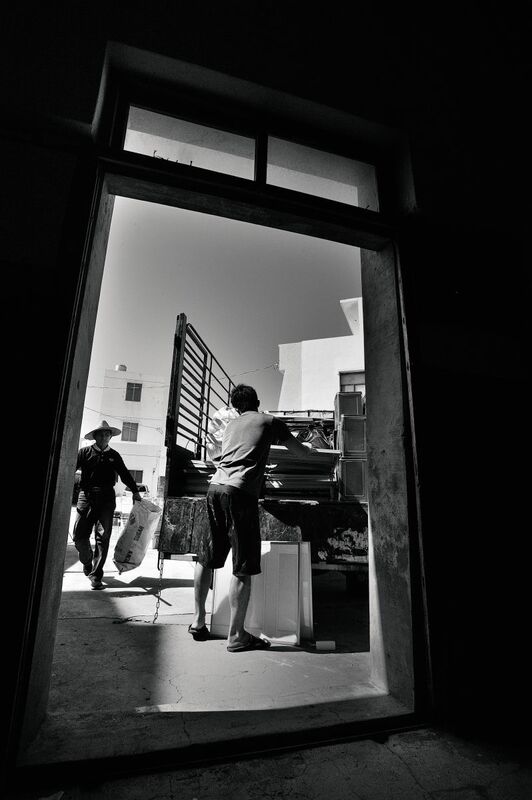 Besides sorting recyclables there, Weng drives a truck to pick up recyclables from homes in the community. His brother, Weng Wu-ji (翁武吉, below, sitting), is a great helper to him. Twenty-four years older than Shun-an, Wu-ji can often be seen working at the recycling point. He is almost like both a father and a brother to his younger brother. Thanks to Shun-an, Wu-ji has found joy in recycling. Weng’s day job actually keeps him busy, so when there are lots of recyclables to process, his siblings come in to help. They have become closer as a result. Their giving has motivated friends to join the good cause too. As resources are reclaimed, bonds are forged at the recycling point. Before we concluded our visit to Penghu, we took a stroll around the isle of Niaoyu. As our eyes took in the fishing boats lined up in the harbor, our ears were regaled by crisp sounds of laughter and merriment. It looked like some local kids were having a ball dive-bombing into the water. 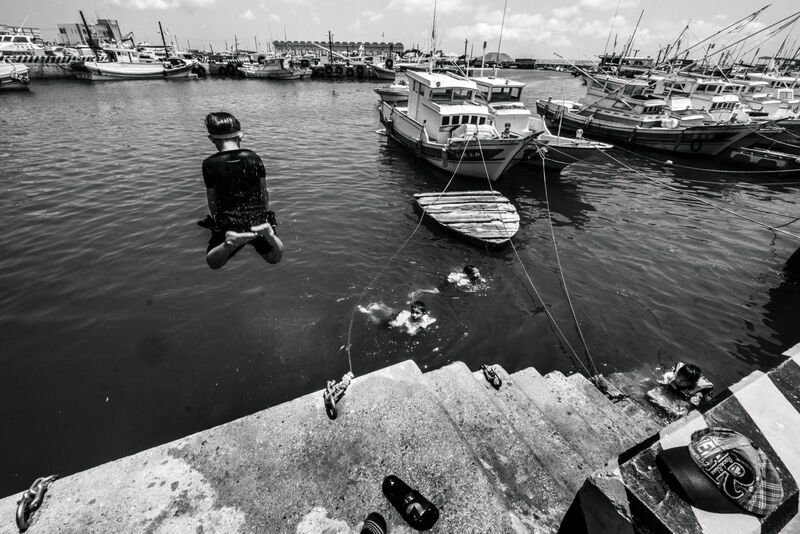 Despite the bright afternoon sun, the water in the harbor was cool and served as the perfect swimming pool for the children, who had first learned to swim there. Nearby a woman was sun-drying fish, squid, and other seafood. 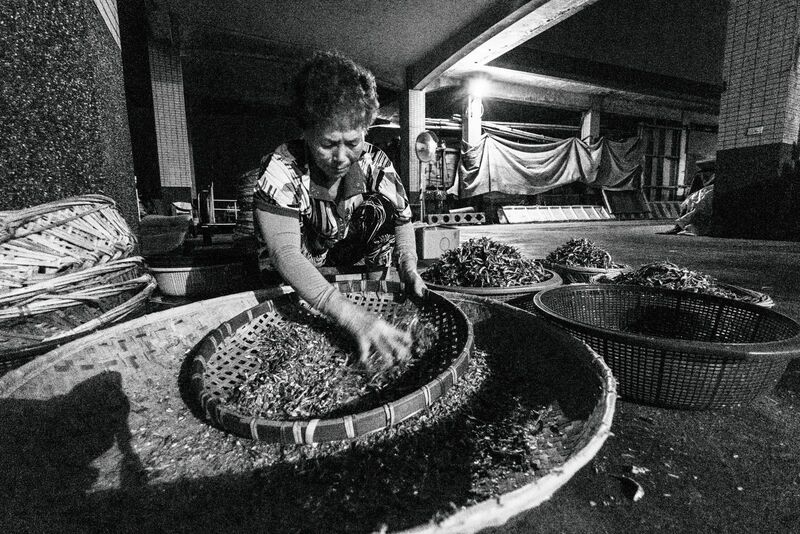 When night came, local women would continue to work sorting dried silver-stripe round herring by the pale light of a streetlamp—this was the current season’s important work. Fishing provides a main source of income for the locals. We didn’t have the heart to tell the women that the fish they were sorting might contain many plastic particles, just as we couldn’t muster enough courage to tell the swimming boys that the sea might become so loaded with plastic particles in the future as to be unsafe for their posterity to swim in. We pray sincerely that the happy, peaceful scenes we saw there will not become a swan song, but instead a cherished memory for countless generations to come.